Come see about me -- discover who I am, what I've published and how you can benefit from my work. Contact me now. 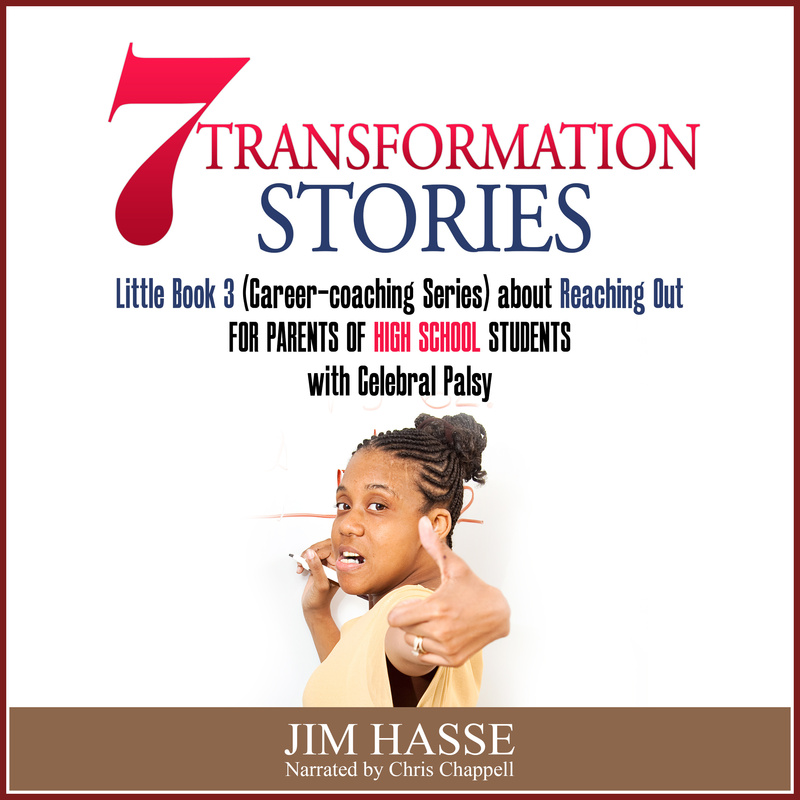 I’m the founder of cerebral-palsy-career-builders.com, the comprehensive career coaching guide for parents of youngsters with cerebral palsy who are 7 to 27 years old. 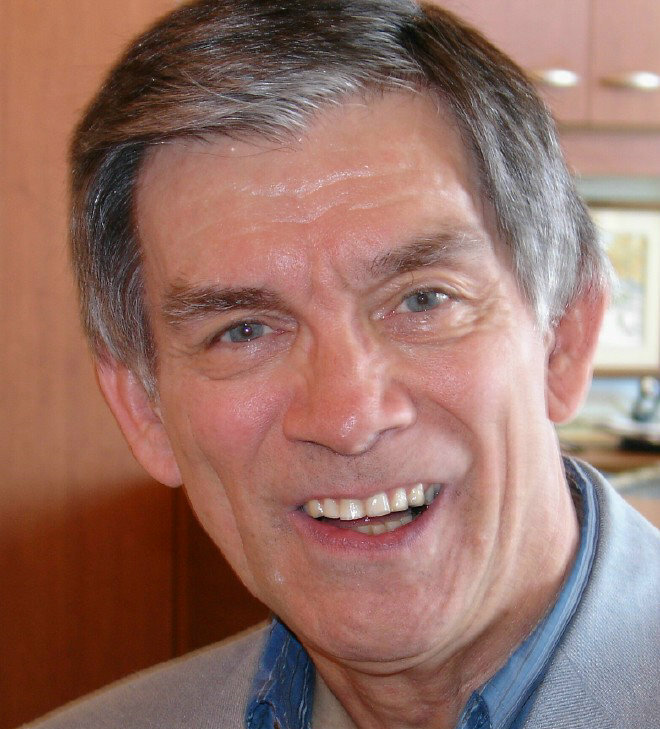 I’m the author of 14 books, each of which explains my central premise: that disability, when framed correctly, can be a competitive advantage in today’s job market for job seekers with special needs. To access my books in electronic, audio and soft-cover formats, go to tinyurl.com/JRH-All-Books-Amazon. A 1965 honors graduate of the University of Wisconsin-Madison’s School of Journalism, I am one of the few individuals with a disability worldwide to earn the credentials of Accredited Business Communicator (ABC) by the International Association of Business Communicators, San Francisco, Calif. I developed an award-winning corporate communication function for Foremost Farms USA, Baraboo, Wisconsin, during my service of 29 years at the cooperative -- 10 of which were at the vice presidential level. I decided to retire from Foremost Farms USA in 1994 and start my own business for helping college students with disabilities prepare for the mainstream job market. 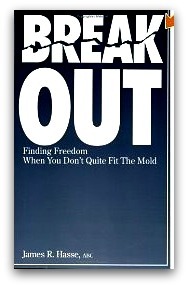 Between 1997 and 2001 (before blogging became commonplace), I wrote “Break Out: Finding Freedom When You Don't Quite Fit The Mold,” a paperback memoir of 51 short stories about disability awareness, and used that material to develop tell-us-your-story.com, a now discontinued website where people with disabilities shared their personal-experience stories. That first book and website helped me land a full-time telecommuting job with The Associated Blind, Inc., New York City, as senior content developer for eSight Careers Network. 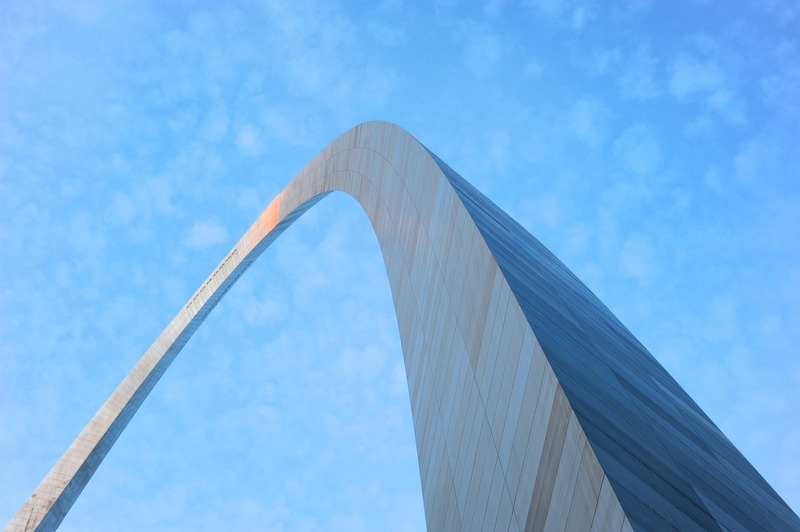 Between 1999 and 2009, I was responsible for all the online content of eSight Careers Network. I wrote, assigned and edited more than 1,300 articles about disability employment issues. I had the business and disability background (but still lacked the credentials as a career facilitator). So, in 2005, I became accredited as a Global Career Developmental Facilitator. That helped me get the attention of AMACOM, the publishing arm of the American Management Association in New York City. I compiled and edited “Perfectly Able: How to Attract and Hire Talented People with Disabilities,” a disability recruitment guidebook published in 2011 by the American Management Association for hiring managers that highlights disability’s competitive advantage in today’s job market. I’m now essentially a publisher of books in all formats about disability employment issues. Each of the seven Little Books takes about 40 minutes to read. 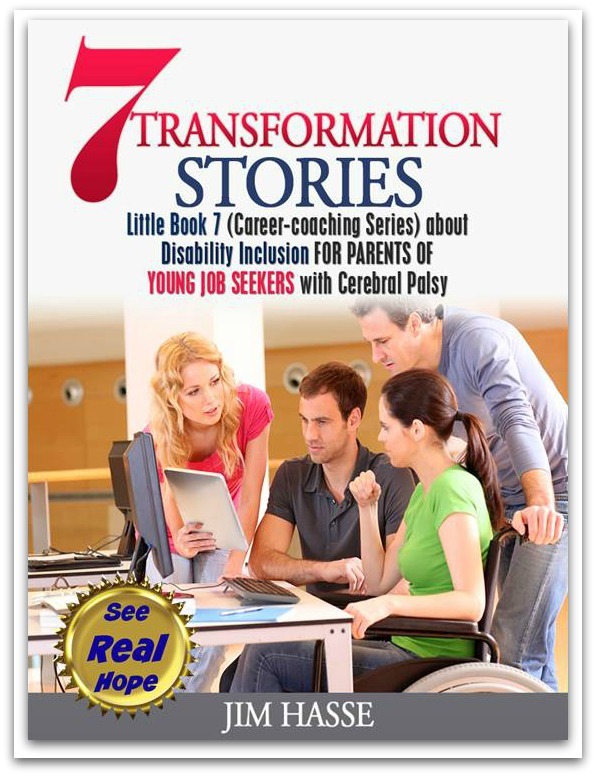 Each illustrates and summarizes the essential career builders for your youngster’s age group – all through seven transformational stories about my personal experience as a person with cerebral palsy. Each of the five books is a 40-minute read which illustrates and summarizes the essential career development strategies to follow for your youngster’s age group – all based on the road map recommended by National Career Development Guidelines, my experience as a Global Career Development Facilitator and my perspective as a person with significant disabilities and integrated work experience. My disabilities, while they have made life tougher for me to live, have also, within certain contexts, become an aggregate advantage for me in gaining meaningful employment in integrated settings. My disability has given me an edge in developing my career. These Career Books show what worked for me. a comprehensive disability recruitment guidebook I compiled and edited for hiring managers (under contract for Lighthouse International, New York City (AMACOM, American Management Association, 2010). Hardcover and eBook. “Break Out: Finding Freedom When You Don't Quite Fit the Mold,” a memoir of 51 short stories about how I gained an understanding of how to thrive with a disability in American society. (Quixote Press, 1996). Paperback. Get a quick overview of the small steps you can take now to help your youngster with special needs prepare for meaningful work. Get a quick, private self-assessment about how you are doing as a career-coaching parent. Share your thoughts about the joys and challenges of cultivating motivation and providing support for your youngster with special during the transition from school to work and independent living. Enter your best post in a competition, at no cost to you, for becoming a contributor to upcoming paperback books about various career-readiness mentoring issues for parents of youngsters with special needs. Publicize the book containing your copyrighted posting and photo and earn royalties on all the books you sell. SPONSORED CAREER BOOKS - Recruit corporate/foundation sponsor for underwriting an annual set amount of career-readiness books for free to a non-profit’s members -– with the non-profit receiving 50% of the royalties for the books purchased by the sponsor and distributed, on a first come/first serve basis, to the non-profit’s members. FACEBOOK ADS/BLOG - Recruit corporate/foundation sponsor for supporting a Facebook ad campaign designed to drive traffic to a non-profit’s blog featuring my career-readiness content. 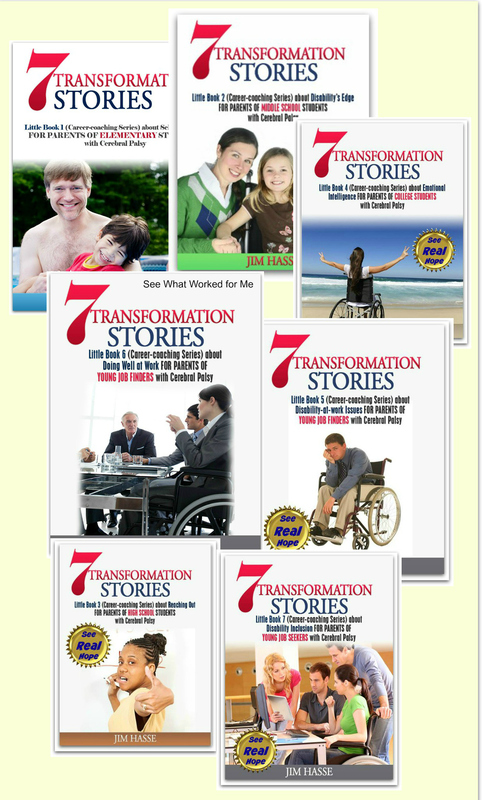 ORIENTATION TOOL - Supply volunteers/mentors/counselors/buddies with a free “introductory” eBook featuring my transformation stories as a part of the disability awareness training during recruit orientation. PUBLISH A PAPERBACK - Edit and publish a paperback book of the content generated by your organization and/or your members and posted to your blog. Your organization and contributing members would retain copyright and could promote/sell it individually under a password and code to a personal CreateSpace eStore, which would pay contributors individually for what books they sell under a coupon system. ARTICLE/RESOURCE LISTING SWAP - Trade a feature article about your non-profit on cerebral-palsy-career-builders.com for a listing of my books on your organization’s website “resources” page. BLOG/GRANT - Supply career-readiness content for blog on your non-profit site and apply for a Google Grant to drive traffic to the site for increased readership and fundraising potential. SPEAKER ROYALTIES - Split royalties 50-50 with non-profit for every career-readiness paperback book that organization’s speakers, trainers and webinar hosts sell during online and in-person appearances. OPEN SOURCE APP CONVERSION - Gain a corporate sponsor for a non-profit project to convert our content to a learning app for high school and college students and share royalties with the non-profit on a 50-50, exclusive basis. “THANK YOU” DIRECT MAIL - Recruit corporate/foundation sponsor and supply career-readiness paperback book for a “thank you” end-of-the-year direct mail fundraising campaign (free of charge for a non-profit). PARENT GIFT - Gain a sponsor for underwriting the cost of supplying parents of those youngsters involved in a camping, college orientation or mentoring experience with a free “introductory” eBook featuring my transformation stories as an example of the type of materials the organization/university uses to train its counselors/mentors/volunteers. For more information about how we can work together to tap the above opportunities for strengthening your online and off-line presence among your key stakeholders, contact me by using the form below.